Well this should be one of the last remaining projects that I’m going to do on my car. My fleet is now complete to my satisfaction and I’m planning on going back to school for a masters degree. So I need to get this OCD car obsession out of my system! I purchased the car new in Aug 2005 from metro, it’s a graphite grey IX MR. I drove it at factory trim for almost 2 years. I told everyone that I bought new for reliability reasons and I needed a 100% factory driver car. Seemed like a harmless omission at the time. Until I saw Jim at one of the cookouts, he was making more than 350 WHP on DB’s dyno running E85 with just about everything factory except for exhaust and extra fuel capacity. My friends ripped me a new one once I started modding the car, as I took the motor out at 12K on the odometer! The car is now worked up to a 550-575WHP car, made something like 565 at map on a weak tune by me. I currently have an EF4 that I have been testing for MAP. The motor ended up blowing a head gasket and I needed to replace it. My thought was that I wanted more power out of the car since my stock block car red powered SE IX is making almost 500whp. There is not that much difference in feeling between the Evo’s. The Evos are close in power, compared to my ridiculous Talon. I want the MR to be somewhere in between the talon and the SE! My clutch is also on its way out which is an Exeddy twin disc. · Rework some items on the xfer case, upgrade front diff and 8-10mm bolt swap. · Convert to SD, omni 4 bar map. · Anodize all the aluminum fabricated parts black? My goal is to be around the 650+ WHP range with the car, at least. I’ll update with pictures as I go. WOW, in for this build! Awesome looking project Mark. Good luck. :c9598f74: Can't wait to see you start this one. so this is gonna be the daily still? I want the same thing for my garage one day, but this sounds like a lot of work.. Sounds like a great combo! What compression pistons will you use? Yep it will be the summer daily car! 9:1, I like the idea of lower compression vs. high. Fill up the chamber with intercooled boost instead of squeezing it harder. So corny, how's the Supra? Here is your pic. 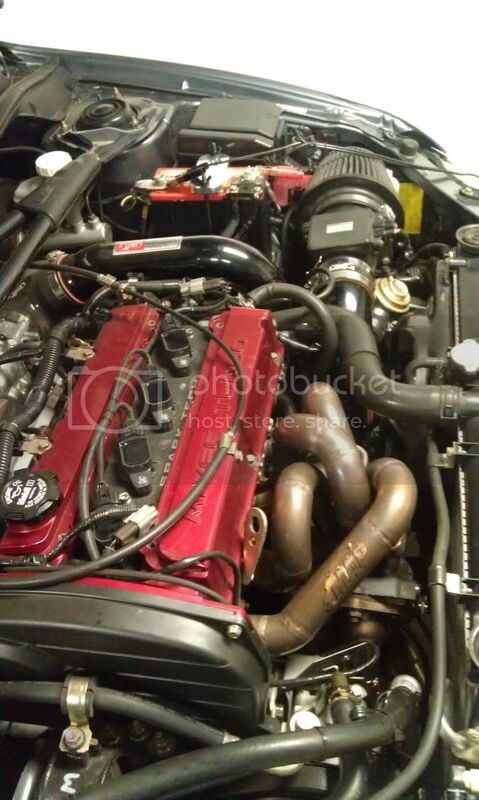 This is my project starting point, dyno from this summer. Wow. This thing should rip! 560 is the starting point! Thats where most guys finish. AWESOME! I decided to ditch the factory ECU, I purchased an AEM EMS series 1! It’s a new AEM EMS for $599 on Ebay from AEM with the full warranty. AEM is blowing out their old series one ECU's! I have one in my talon so I'm familiar with the tuning. I decided that I'm going with a HTA86 with a .82 hotside. I will be selling all of the components of my current setup, MAP long tube header, MAP EF4, and a MAP 3" down pipe/O2 eliminator. This is going to be an awesome winter! Not only moving out of our turbo but moving into an FP unit :( I'll give you a PTE turbo at cost just to keep you out of anything by FP lol. Yea, I just recently decided to go to a full T3 style turbo. Nothing against your turbo offering, I definitely liked the EF4 and it was fun participating in the early testing. My goals have changed. As for the turbo choice I may just take you up on that offer for a BB6266?? I need to perform more research on spool vs. HP capability/stability. Hopefully the 6266 bridges the gap between the 6262 and the 6766. That is the only reason I was picking the hta86. 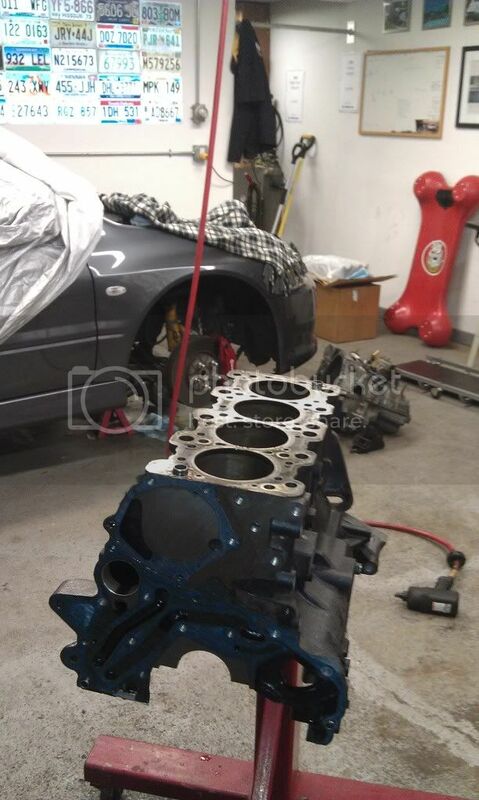 I dropped off the block at MAP and put a build plan in place with Chris and Kyle on the motor and the turbo/manifold. Thanks guys! 700 WHP should be easily attainable. Woohoo! Keep us updated man! I see your point but I see the point of going lower comp as well. 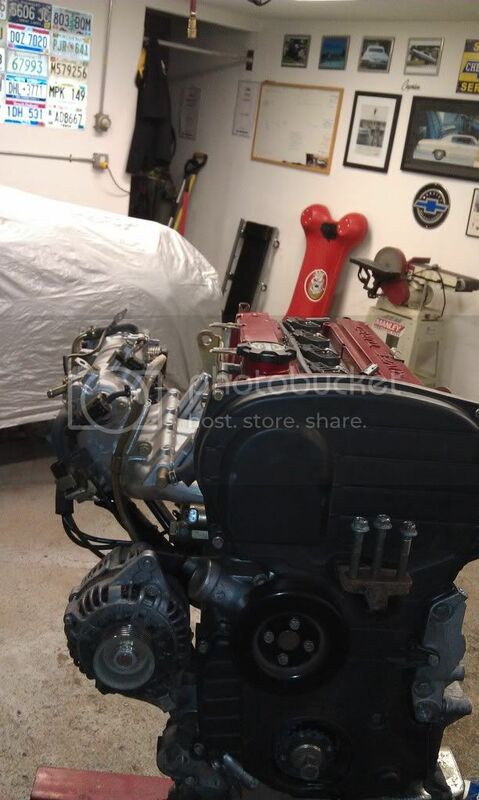 At that power level he can have a motor that he wants to drive around that wont be so high strung all the time with a lower compression piston.